Born in New York, Malvina was the daughter of Richard Hoffman, a music teacher who began life as a child prodigy of the piano, later the solo pianist for the New York Philharmonic Orchestra. In 1908 she first met Samuel Grimson. The violinist had come to play chamber music recitals with her father, sixteen years later in June of 1924 they were married. Her fathers failing health inspired Malvina to attempt to make an adequate portrait of her father and began oil painting. Oils did not seem adequate, she felt that it required a three dimensional form and began to sculpt his head. She studied drawing and painting while still at the Brearley School and for several years worked under the direction of John W. Alexander. She completed a marble bust of her father, which she sent to the National Academy where it was exhibited. After her father's death, she traveled to Europe with a letter of introduction from Gutzon Borglum to Auguste Rodin. It took her five attempts at presenting the letter before Rodin would see her. It included photographs of two busts that she had done, one of her father and the other of the man she was to marry. Rodin recognized her talent immediately. 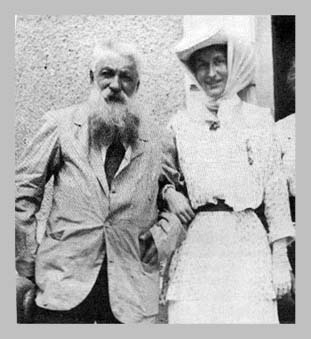 Her acceptance as a pupil by Rodin began a friendship that would last until the end of his days. By 1915, Hoffman had achieved some fame of her own. She went on to become a master founder in order to cast her own bronzes, including the heavy lifting, generally left to foundry workers. She later published a technical book that included information on bronze casting, "Sculpture: Inside and Out". She approached her task with a commitment to capturing the individual spirit of each subject. The Paris experience brought her into a circle of sculptors and artists like Constantin Brancussi and Ivan Mestrovic, Paderewski, Anna Pavlowa, Gertrude Stein and Claude Monet. Mestrovic gave her the advice that she must learn the principles and the technical side of sculpture better then most men, because of the preconceived idea that a woman could not get serious about her art. Rather then deter, this inspired her to learn all facets of her field of art. In 1919 Malvina traveled to the Balkans on behalf of the American Relief Administration to gather information on the hospital and children's centers. In 1930, Stanley Field, the nephew of Marshall Field I, commissioned Malvina to sculpt and cast bronze figures depicting the peoples of the world, this was to be her greatest project and achievement, the creation of " The Hall of Man" for the Field museum of Chicago. "The Races of Mankind" is the largest singly commissioned body of her work and consists of 104 busts, heads and life-sized figures. 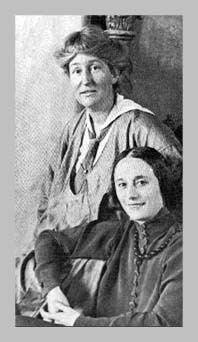 In preparation for the exhibit, Hoffman and her husband, S. B. Grimson, traveled throughout the world to find authentic models for the sculptures. It took five years to complete. The one hundred bronzes which make up the "Races of Man" is an incomparable collection of the various racial types of man inhabiting this world. The work was very controversial amongst the anthropological circle of the time. Her work was criticized by social scientists as too reliant on physical over cultural characteristics. Her bronzes of the Sengalese Tom-tom Player and the Shilluk Warrior are examples of the character she was able to portray in these sculptures. The prevailing abstract artists of the day saw her work as either too realistic or too romantic. By the time of her death in 1966, figures such as her Nordic Type or Bushman Man were dismissed as anthropologically incorrect, and her work was moth balled. Gradually, in the years since, critics and the museum itself have taken a different view, seeing in Hoffman's work not a simplification of ethnic types but extraordinary recreations of vibrant individuals from different cultures. The figures reveal more than mere technical prowess and anatomical detail; they express a feeling of movement, ready at any moment to spring forth. Malvina's subjects, frozen in a moment of time, in joyous motion or deepest concentration, exude life. 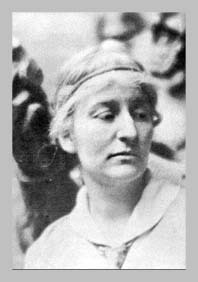 The resulting photographs from the trip appear in her two autobiographies, as well as in several publications about Malvina Hoffman Malvina was a member of The Association of Women Painters and Sculptors, which changed its name in 1917, to The National Association of Women Painters and Sculptors, and in 1941, to their present NATIONAL ASSOCIATION OF WOMEN ARTISTS, INC.
Malvina Hoffman died at her studio-home in New York, New York, on July 10, 1966. Malvina with her close friend Anna Pavlowa. To construct the portrait of her dancer friend, Anna Pavlowa the artist made a plaster mould directly from Anna's face. From this Malvina modeled a positive form in clay, which she then refined. She then made a mold from the clay portrait and built up layers of wax within the mould. After layers of wax had been applied; the fragile wax shell was filled with plaster. A round brass rod was mounted into the plaster as it dried, allowing the sculpture to rest securely atop its base. Finally, the surface was embellished with pigments. Two Sculptures from the "Hall of Man"